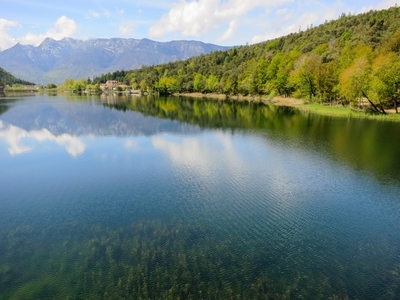 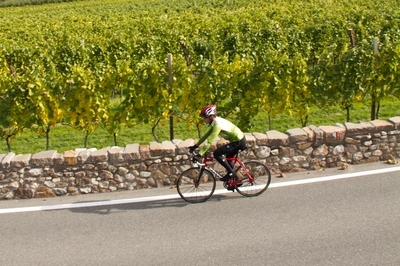 E-biking and cycling at Lake Caldaro is not only a pleasure from a landscape point of view. 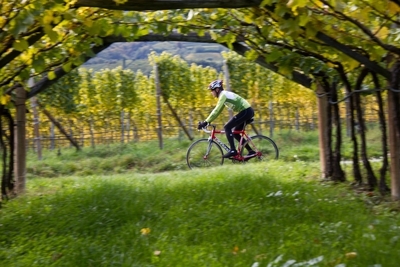 Along the many narrow wine roads you'll not only enjoy a cycle, but also a culinary break. 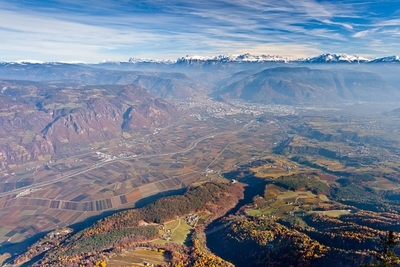 The wineries along the route await you to taste the fascinating South Tyrolean wines. 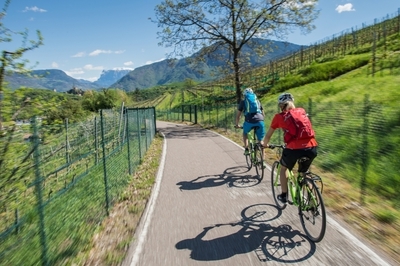 Tip: Especially charming for cyclists is the cycling trail from Bolzano/Bozen to Appiano/Eppan or during the asparagus period and the apple blossom in the direction of Terlano/Terlan and Andriano/Andrian!